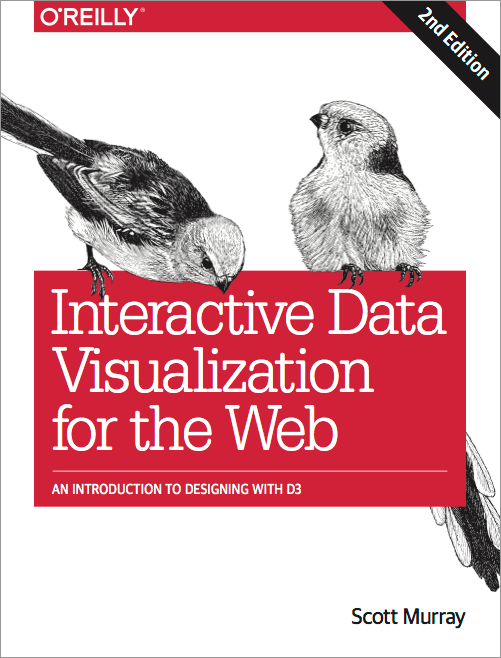 Interactive Data Visualization for the Web, 2nd Ed. The second edition of my wildly successful book on D3, data visualization, and coding for the web. What’s New in the 2nd Ed. 200 pages longer than the 1st ed. See much more voluntarily lavished praise in the opening pages of the book itself.